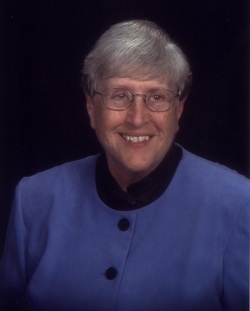 Dr. Mary Ellen Sutton is Professor Emerita of Organ at Kansas State University, Manhattan, Kansas. She joined the Kansas State University faculty in 1974 after teaching five years at Missouri Valley College in Marshall, Missouri and retired from K-State in 2010. She is currently an organist at First Congregational United Church of Christ. Other organist positions in Manhattan include at First United Methodist Church for thirty-five years and First Presbyterian Church for two years. She was a Staff Organist at the Community of Christ Auditorium for nine years giving weekly half hour recitals on Saturdays for six of those years. Dr. Sutton is a member of the KSU-Manhattan Area Chapter of the American Guild of Organists and a dual member with the Greater Kansas City AGO and Topeka, Kansas AGO. She has been District Convener for Kansas, Dean of the Topeka and KSU-Manhattan Area Chapters and given guest recitals and workshops throughout our area. She has been on the faculty of Pipe Organ Encounters sponsored by the Greater Kansas City AGO and is facilities coordinator for Kansas State University-Manhattan Chapter Pipe Organ Encounter that will be held in July 2014. Her Doctor of Musical Arts degree was granted by the University of Kansas in Organ Performance and Pedagogy, receiving Honors for her DMA Document Seventeenth-Century Iberian Organ Batallas. She was awarded Bachelor and Master of Music degrees in Organ Performance from the University of Missouri – Kansas City. Her organ teachers include James Moeser, Bethel Knoche, and Oliver Houston. She has studied at the International Summer Organ Academy in Haarlem, the Netherlands with Kenneth Gilbert, harpsichord, and Marie-Claire Alain and Gisbert Schneider, organ. Her current research interests include church music and the organ music of Max Reger. She is also a sports fan and follows K-State Wildcats, the Oklahoma City Thunder, and the Kansas City Chiefs.